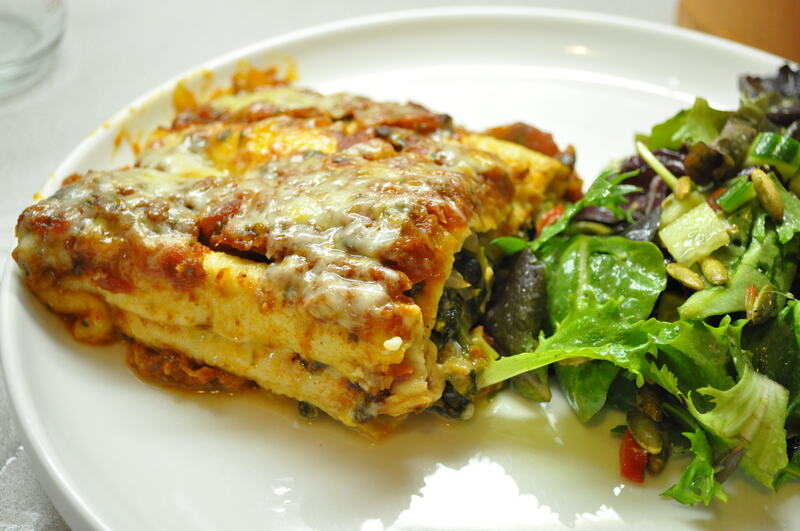 This recipe is based on my Roasted Vegetable Enchiladas recipe, but instead of using roasted vegetables, I used broccoli rabe and black beans. While enchilada sauce is simmering, heat oil in a large nonstick skillet over medium-high heat. Sauté onions for 5 minutes or until tender. Add chopped broccoli rabe and garlic. Saute for an additional 5 minutes, or until almost tender. Remove from heat and stir in beans and crumbled feta cheese. 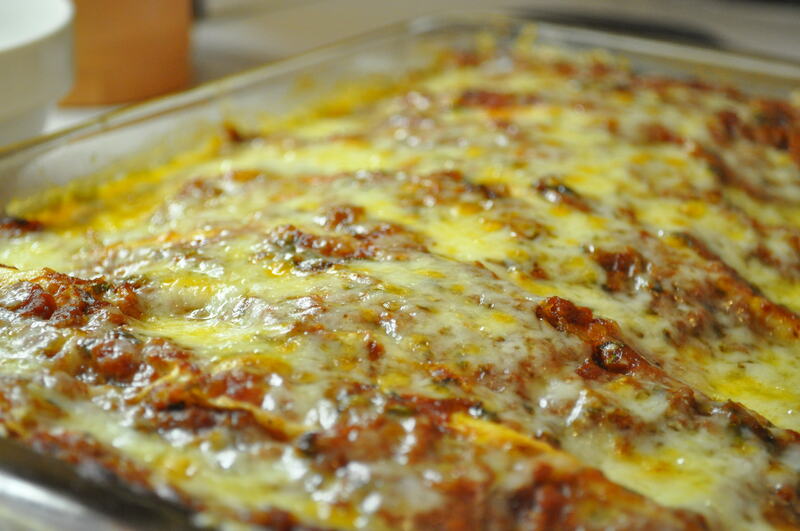 Spread 1 cup enchilada sauce in the bottom of a 13 x 9-inch baking dish coated with cooking spray. Spoon about 1/2 cup broccoli rabe mixture down center of 1 tortilla; sprinkle with 2 tablespoons of cheddar cheese, and roll up. Place seam-side down in baking dish. Repeat procedure with remaining tortillas, broccoli rabe mixture, and 1 cheese. Spread remaining 2 cups sauce evenly over enchiladas. Cover with foil; bake at 350° for 30 minutes. Uncover; top with remaining cheese. Bake, uncovered, for 10 minutes or until cheese melts.